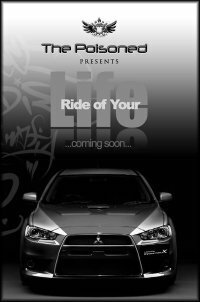 For those who owned a sport compact, sport car, modified car, sport SUV or classic sport car are welcome to join this photo shoot. Date and places will be confirmed in the future after collecting information of the user and their car. This photo session is limited only and based on first come first serve basis. Every ride that are successful will be showcase on The Poisoned and other photo bloggers that is participating in this event. Further notice and confirmation will be announced soon. For more question and queries please do not hesitate to send me a text or simply comment this notes. Open only for car that are registered in Brunei. Details Needs: full name, street name (optional), ride name (optional), date of ownership & summary of why do you love your ride.